With the Icarus Rooftop Conversion from Alu-Cab, any Land Rover 110 Defender can be easily converted into a travel vehicle. The new version of the Rooftop Conversion, developed with Genesis Import to the specifications of the European market, is made of 2mm thick Aluminium and is based on the shape and form of the original roof. Integrated roof brackets provide extra stability and the cargo rails on the roof make assembly incredibly simple. Above the windshield is an extra shelf. When the rooftop is in the open position, it reaches a standing height of 2.8m. When the two-part lying surface is folded down, a bed of up to 2.55m in length can be reached from inside the vehicle. A 75mm thick mattress with its two layers provides more sleeping comfort. Three spacious openings with mosquito nets ensure a good view and a pleasant stay in the Rooftop-Tent. The rear entrance provides a shaded, rain-proof roof. Mosquito nets and windows open downward, so they can be opened slightly (even when it is raining), for ventilation. 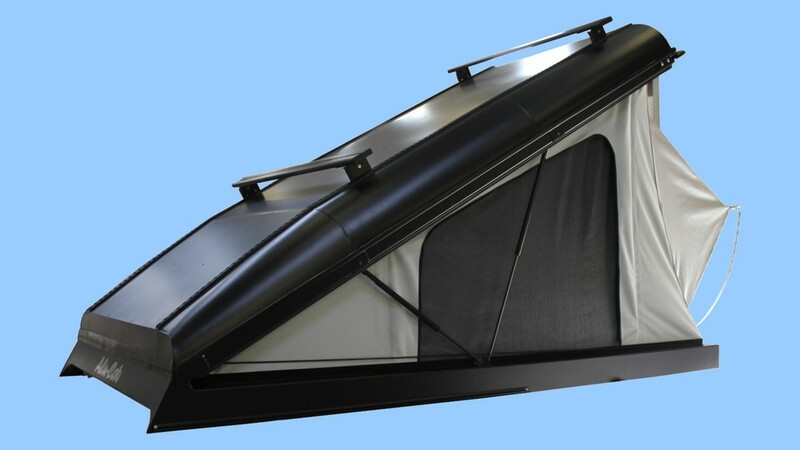 Due to the three-layered material with polyurethane membrane and stretch function, the tent does not flutter in the wind and is waterproof. The quilted roof is equipped with an insulated foam. Both floor panels are fitted on the upper and lower side for more comfort and insulation with durable and dirt-repellent carpet flooring. Two LED-reading lamps with a flexible neck, provide light at night time. Under the sleeping areas and in the dash board above the front seats, there are three more LED lights. In addition to white lights, the lights can also be switched to red, which don’t attract any insects. Thanks to gas-pressure springs, the Rooftop Conversion can be opened in a matter of seconds. They are attached outside the tent but inside the structure, so condensation stays outside. An all-around elastic band pulls the tent fabric inward when it closes. This makes it easy to close, and safe from being pinched in the roof. Also very clever, are two more gas-pressure springs placed in the back corners. 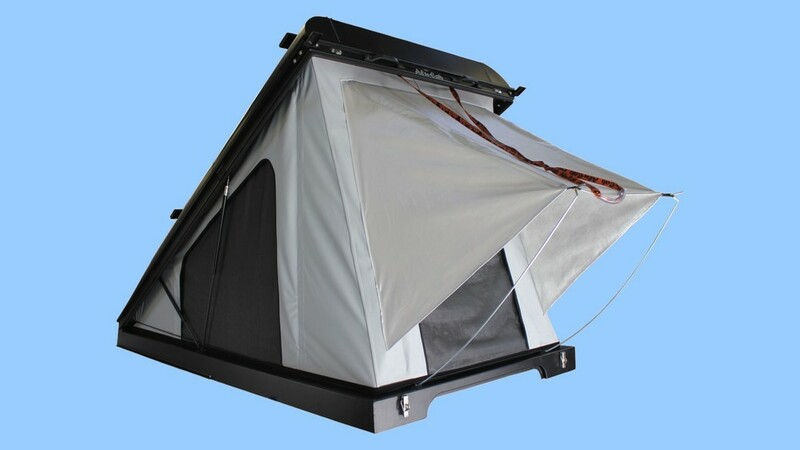 The Rooftop Tent stays opened slightly, allowing the lashing strap to be closed safely. This also helps open the tent a few centimetres. The two pieces of the reclining area open safely and comfortably with the help of gas-pressure springs. 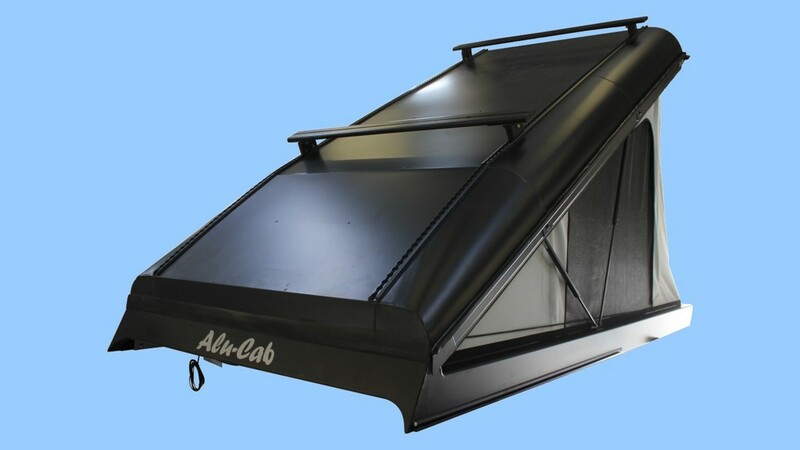 Thanks to the rain gutter, existing Roof Racks can also be mounted on the Icarus Rooftop Conversion. The Cargo Rail-Profile mounting rails are available as standard on the roof, which can also be used for accessories and equipment. Standard flat bolts with square heads, can be used as fastener to the rail. As an option, light-weight Aluminium loading bars are also available. These are secured by stainless steel footing on the rails of the roof. The Aluminium profiles have nut slots on the upper and lower side, as well as the opposite side for additional mounting. The Icarus Rooftop Conversion is 180mm higher than the original roof and weighs about 130kg. This has a net weight of only about 70kg which is less than the weight of the conventional Rooftop Tent plus the Roof Rack. Thankfully, installation is simple. One only needs to unscrew and remove the original Land Rover Defender roof, then replace it with the Icarus Rooftop Conversion and screw it in. This means the original roof can be reinstalled at any time and the Rooftop Conversion can be installed on any other Defender. The Rooftop Conversion is available as standard in black or white. On special order also available in any RAL colour.